South African Airways (SAA) has added capacity to the Eastern Cape for business travellers between East London and Johannesburg. SAA currently operates 24 flights per week between Johannesburg and East London, with a double daily service (except on Mondays and Saturdays). Effective Sunday, 10 June 2018, the airline has added additional flights on three days of the week, increasing the service to 30 flights per week. SAA has scheduled the additional flights to cater specifically for the business traveller wanting to travel in time for meetings and who require additional flexibility for return flights. “Adding these early departures out of East London and late returns from Johannesburg is an ideal way for business travellers from the coastal city to be in Johannesburg early morning to conclude their business and return the same day,” says Tlali Tlali, SAA spokesperson. SA472 departs on Mondays, and Thursdays, from East London at 06h30 to arrive in Johannesburg at 07h55 and at 08h00 on Saturdays to arrive at 09h25. SA477 returns on Wednesdays, Fridays, and Sundays from Johannesburg at 18h55 to arrive in East London at 20h20. SAA operates East London flights with Airbus A319 or A320 aircraft, offering SAA’s premium service in Business class. Business travellers will enjoy SAA’s premium service. Voyager Elite members enjoy a number of benefits which include, priority check-in and boarding, excess baggage, as well as lounge access. 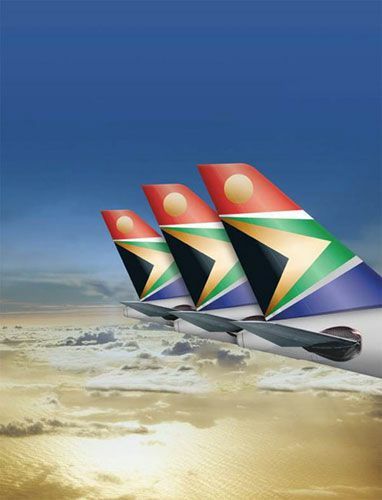 Early morning departures out of East London offer seamless connections at Johannesburg with SAA flights departing for other destinations in SAA’s regional route network. Flights arriving late afternoon in Johannesburg offer easy connections with SAA’s international flights. SAA Cargo will use the added capacity to move fresh seafood and other freight on the early morning flights out of East London in time for the departure on SAA’s Hong Kong flight, primarily destined for international markets in Asia. The introduction of the three additional flights between Johannesburg and East London means the SAA Group, with its partner airlines, now offer an extensive service to the Eastern Cape. “We remain committed to ensuring that we respond to and meet the requirements of the market we serve. This means, SAA will continue to monitor performance and demand and will make appropriate commercial decisions with requisite agility in support of its customers,” concludes Tlali. SAA and its partner airlines provide comprehensive service to the Eastern Cape with flights between Johannesburg and East London, George and Port Elizabeth. They also operate between Durban and East London, Cape Town and East London, and Cape Town and Port Elizabeth.